Who says ninjas can't wear pink? 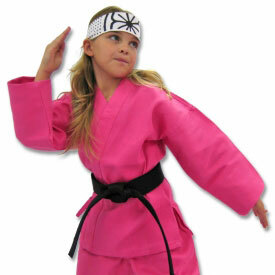 Our exclusive Kids Pink Ninja Uniform has been designed with fans of the color Pink in mind! 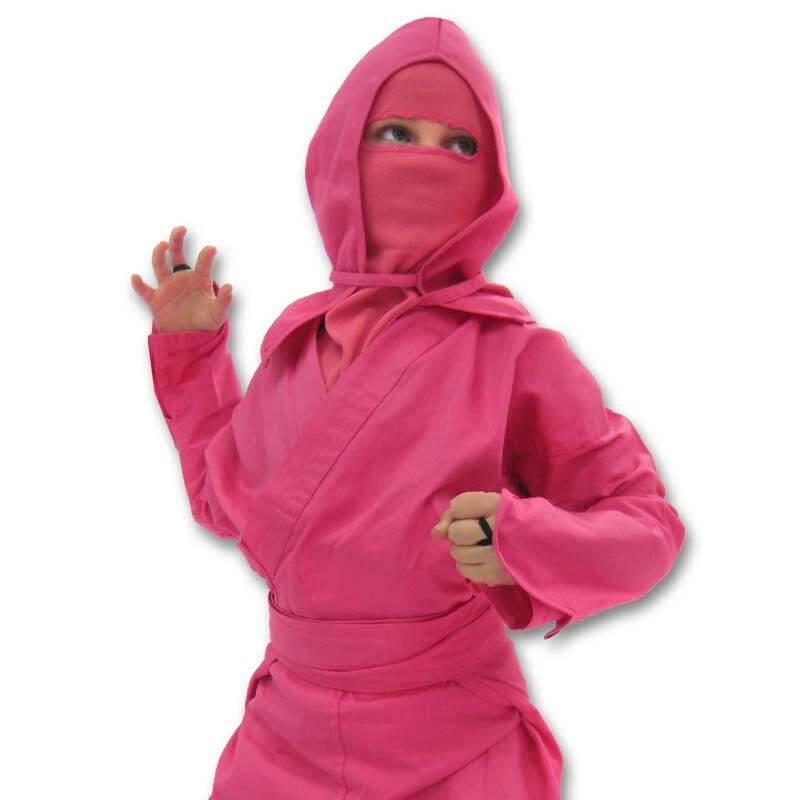 Made from 100% cotton material, our Pink Ninja Gi is patterned after our best-selling ninja outfit design. This means you get the same amazing six-piece set that you've come to expect from our other ninja uniforms but in one awesome pink shade! As with our other sets, these are real ninja gi patterns and will serve you well in either the dojo or the costume party. Stop putting up with those cheap ninja costumes that fall apart after one use! 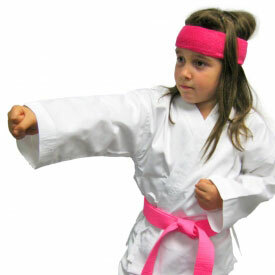 Pick up a KarateMart.com Kids Pink Ninja Uniform and say hello to the last ninja gi you'll ever need. Do you have questions about this or any of our other amazing products? Worried about shape, size, or shipping? Contact us! Our customer service representatives are eager to answer all of your questions! 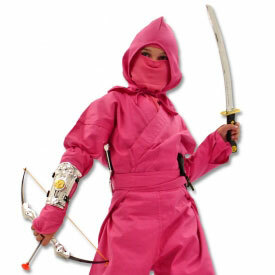 Includes an authentic pink ninjagi, Not Just a Cheap Costume. 100% Cotton - Easy wash and wear!